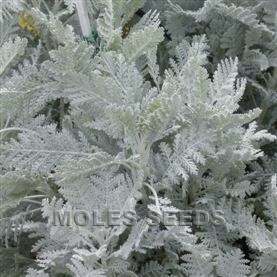 Produces lacey, silvery & wooly foliage which is densely held on stiff branched stems. Great for providing contrast in the garden. It looks great as an accent plant in a mixed container or bedding scheme. 60cm. 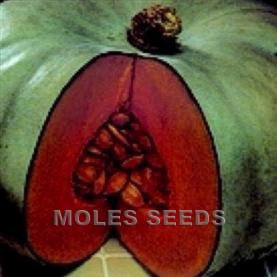 Sow the pelleted seeds April-May into plug trays, germinates in 7-10 days at 20-22°C, plant out in greenhouse or polythene tunnel at 80 per square metre, takes around 16 weeks sowing to flowering in the Summer. Needs long days to grow and flower properly. 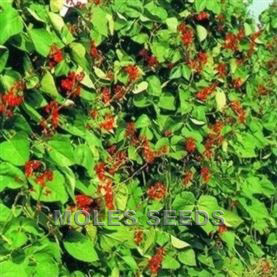 (Can be grown as specialist winter crop with night break lighting.) Use as a filler in cut flower arrangements.